Forensic Psychology: Crime, Justice, Law, Interventions, Third Edition covers every aspect of forensic psychology—from understanding criminal behaviour, to applying psychological theory to criminal investigation, analysing the legal process and the treatment of witnesses and offenders. Each chapter has been thoroughly revised and updated with the latest findings. The book also includes two entirely new chapters—one on psychopathy and crime, the other on female offenders. Drawing on a wealth of experience from leading researchers and practitioners, this new edition will interest and enthuse today’s generation of students. 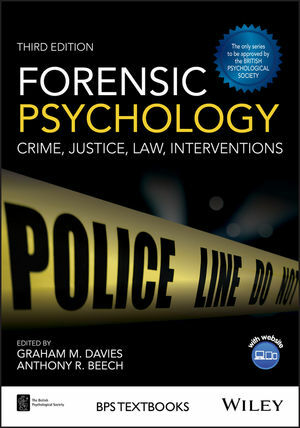 Forensic Psychology, Third Edition is essential reading for undergraduates’ first encounter with the subject area and is an excellent introduction for more specialised postgraduate courses.